mAh per display square in. 201mAh/sqrin. 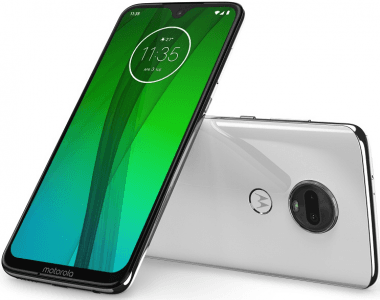 The Motorola G7 (Moto G7) features a large 6.2-inch 19:9 LTPS display furbished with Corning's damage-resistant Gorilla Glass 3 technology, and it claims to provide up to 9 more hours of battery life (It has a 3000mAh cell) in just 15 minutes through its 15W TurboPower charging system. It also captures high-class 4K-2160p videos using its 12- plus 5-megapixel dual-lens primary camera. Also known as: Motorola G7. 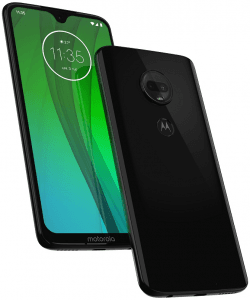 Specs-based Pros and Cons The Moto G7's pros include a 4K-video-enabled dual rear camera and a wide 6.2-inch 19:9 display, while the absence of NFC support headlines its list of cons. Click through for our thorough specs analysis. (more) New Motorola phones View all the new Motorola phones.